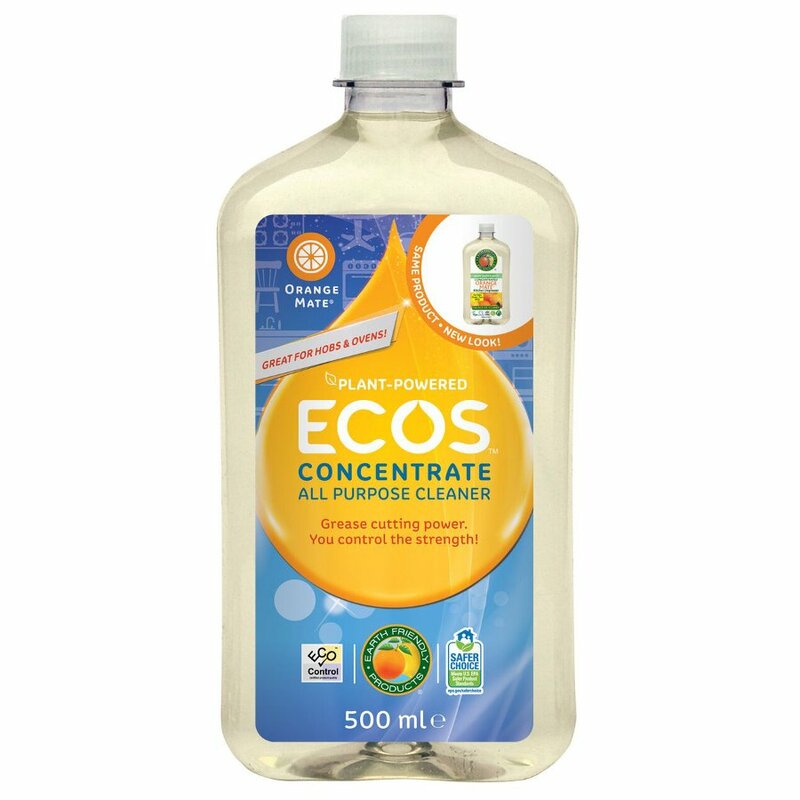 It's another ingenious idea from Earth Friendly - this orange-oil based multi-surface cleaner and degreaser is designed to be topped up like orange squash when it runs out - saving money and plastic bottles. Orange Mate is a 100% natural versatile cleaner for all of your worktops and surfaces, with a delightful natural smell of fresh oranges. Orange Mate comes in 2 strengths. 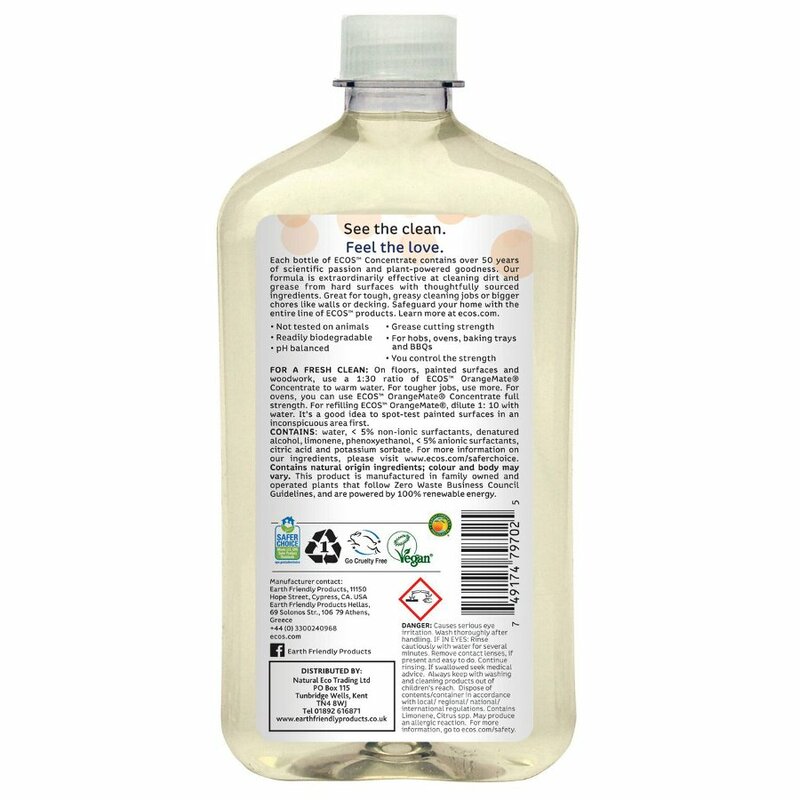 Use the Concentrate neat as a degreaser for the oven, hob & pans, or dilute 10:1 to refill the Orange Mate RTU trigger spray bottle UP TP 11 times, giving great value. Orange Mate RTU is a versatile multi surface cleaner for all kitchen worktops and hard surface areas with a subtle scent of oranges. Registered with the Vegan Society, PETA and BUAV. 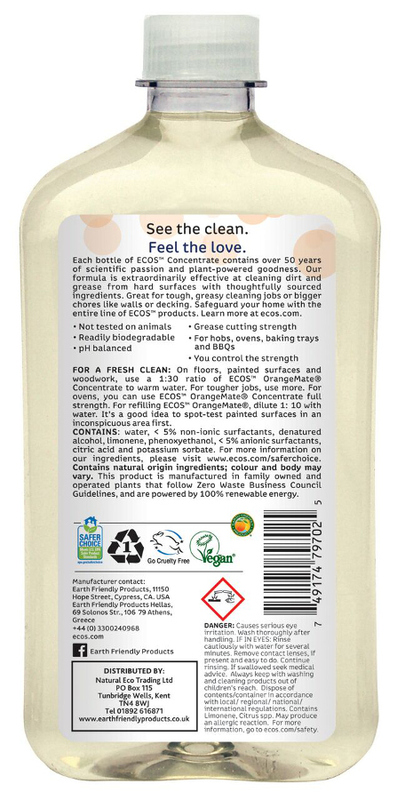 Free of GMO's, formaldehyde & 1.4 Dioxane. For degreasing oven, hobs, baking trays- use full strength then rinse. For large cleaning jobs like floors, tiles or work surfaces, dilute 30:1 in a bucket or bowl with warm water.You can use All Purpose Cleaner Orange Mate Concentrate to REFILL the All Purpose Orange Mate Ready To Use Spray, dilute with water 1:10. Pour 45ml of Orange Mate Concentrate into empty 500ml trigger spray bottle and top up with cold water. 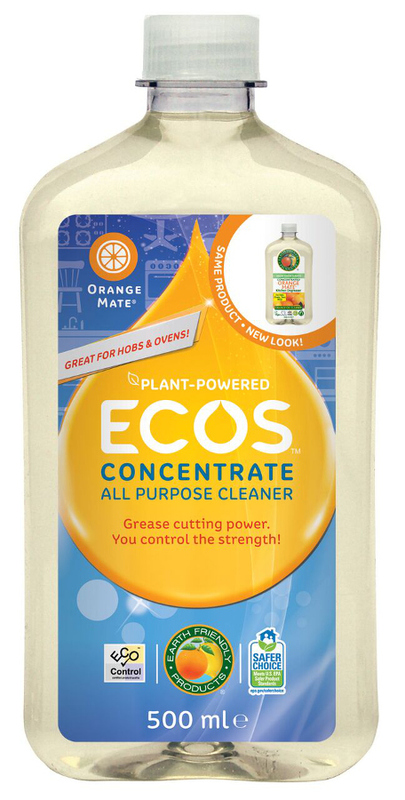 The ECOS Orange Mate Concentrate All Purpose Cleaner - 500ml product ethics are indicated below. To learn more about these product ethics and to see related products, follow the links below. Smells amazing and works. Like the idea of being able to dilute it or use neat.